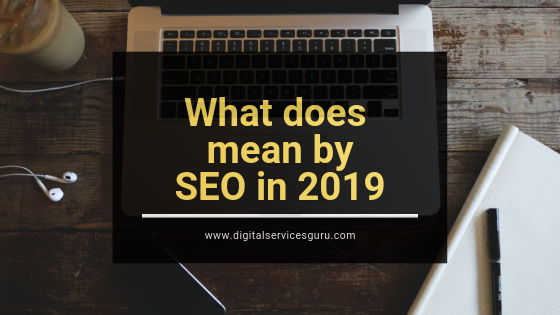 18 Mar What Does SEO Mean In 2019? The online marketing community is always ready to know the ins and outs of SEO. Some say that 2019 will see the death of SEO. However, others argue that we will find a big transformation in the SEO landscape in this year. We also agree to the fact that the varying SEO trends can turn out to be a warrant to the marketers. In the past, the businesses had followed sensible and comprehensible rules to base their website ranking system. Though those rules were also intricate, they formed the basis of their site. The marketers also considered SEO to be the way of managing the technicalities. However, since the year 2005, SEO has turned out to be the major tools for sales, branding and marketing. Google will continue introducing the smarter algorithm, and thus, SEO will become more intricate in 2019. The search engine will value the pages, which offer the best feel to the users. You know that Google updates algorithms several times, and thus, it may not be easy for you to break down SEO concepts. The businesses have to take new approaches to optimize their social media pages and web contents. The content developers must also apply different tricks for using keywords. You have to help your website visitors to find the essential information with the minimal effort. Intuitive and easy navigation through your website is the most effective factor to please the visitors. This dynamic content also helps in reducing the bounce rate at your site. RankBrain is one of the latest programs, developed with AI technology. It helps in processing the search queries of Google. It is capable of looking for human interaction signals at different sites to deal with the ranking process. The signals are useful to Google to make out how your website has provided relevant solution to the visitors. By creating awesome and valuable content, you can save your site in the present SEO world. While dealing with technical SEO, you may use schema markup to give additional website-related information to Google. You can do it without showing this information on your website page. The web developers have to know about this trend. However, the technical SEO professionals should also realize its value. Websites, following mobile responsive tactics for the contents ad layouts, will get better result. Your web content has to be readable from Smartphone, tab, laptop and desktop. You will no longer find the trend of zooming the screen for reading the content of a website. Thus, when you create the interface design and publish the content, you have to make it mobile-friendly. It will give better result to your SEO campaign. In 2019, you will find lots of new techniques and activities to make the SEO campaign successful.